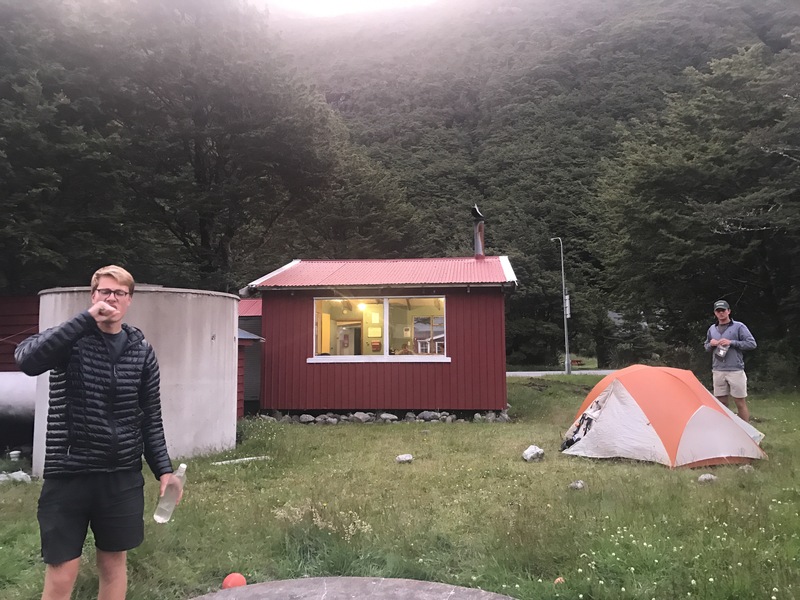 On the morning of day 96 we awoke at Locke Stream Hut, quite cold even at 500ish meters elevation. We slept until 8 or so given our not huge day of hiking, as did Sam and Kate in the opposite bunk room. The excitement of the relaxed morning was slightly dampened by jasper discovering that he left his rain jacket at Hurunui Hut the previous morning (which is the origin of our change of plans to spend some time in Greymouth) but almost immediately boosted by Shepard’s sighting a Blue Duck in the waterfall right outside the hut! Blue Ducks are extremely rare (2500 alive) and we were all stoked to have seen one in the wild, playing around in the rushing water, and to be able to proudly report the sighting to the DOC. So given our new objective – to get to Greymouth rather than Arthur’s Pass, because we assumed that Arthur’s Pass would be too small to sell rain jackets – we wanted to get to the road as soon as possible. (EDIT: Arthur’s Pass DOES have rain jackets! We learned this too late for it to be helpful.) Fortunately, the highway is pretty much where we had planned to stop that day anyway: at Morrison’s Footbridge, where there is possible camping, there is a carpark right on the highway. 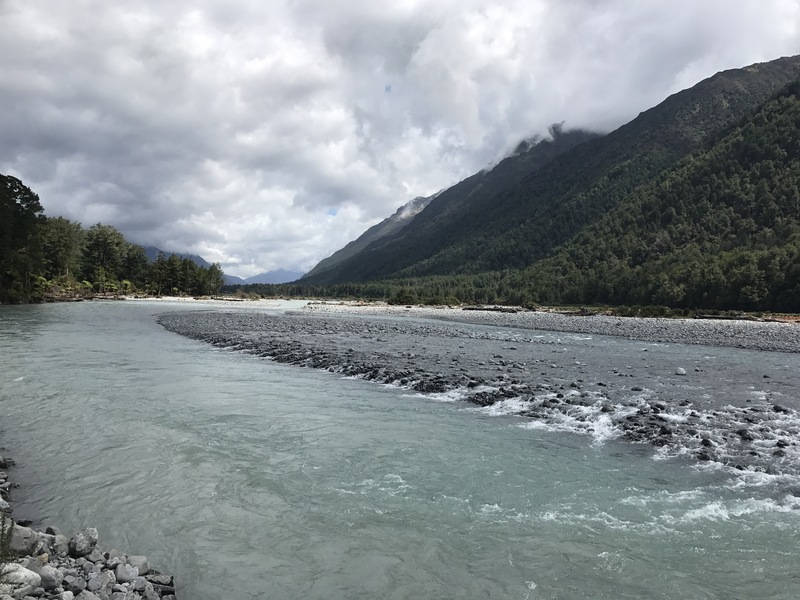 However, given the recent super storm, the track that heads up the Otira river for a couple hours before the footbridge is badly damaged and we were recommended to simply ford the Otira right when we got to it and get to the highway right on the other side of it. Down the Taramakau we went then, crossing back and forth multiple times because the trail dictated it but also sometimes because in the recent flooding the river changed its course or because we wanted to avoid some landslide areas. Fortunately the past couple days had been pretty dry and the river was low enough to be totally passable up there. After a couple hours, though, when the trail reached Kiwi Hut and the river valley was quite wide, we preferred to do our final crossing over to the left side earlier than the trail says, and then cross the Otehake upstream of its confluence with the Taramakau so as not to have to cross the combined flow. For us to find a suitable crossing of the Otehake, though, (the Taramakau was pretty spread out so it was super easy) we ended up having to walk far enough upstream that there was dense forest on the opposite bank, rather than open tussock – but since the notes mention this strategy of crossing upstream of the confluence as an alternate, there was every so often a footstep or a faint trail to encourage our scrambling through the bush. We only had to bushwhack for a half a km at most until we were out on rock and grass in the river flat again. From here the track damage began to be very noticeable and drastic, with huge swaths of land swept away by the flooding and some river channels displaced by hundreds of meters and some places where the old trail had been adopted as a new channel. At some point we walked for a while in a dry channel which clearly had been a part of the river until two weeks before, as nothing at all was growing between the rocks and boulders. We ate lunch very soon at a pretty but sandfly-dense spot just after entering some open forest and right about where the trail turns into wide 4wd track. 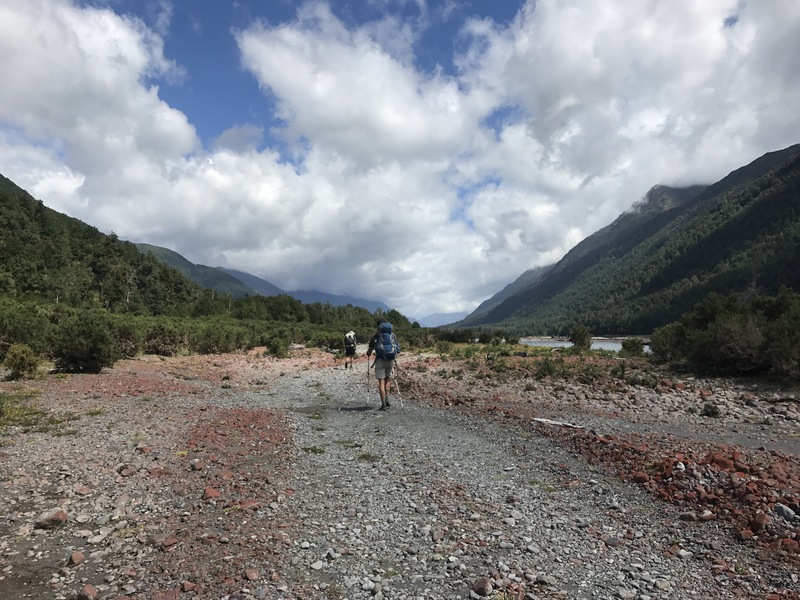 After that it was only 2 or so hours until we arrived at the junction of the Flood Track (up the Otira river) and the route directly to the highway (fording the Otira river). We took the route across the river and it wound through trees for a bit and dumped us out onto the gravel river flat. It was still maybe a half a kilometer across dry rock channels and over shrubbed islands until we got to the first of the river’s braids. There were a couple braids that were quite shallow and small but we soon approached the main couple of channels, clearly pretty deep and fast, and with cloudy glacial water that was hard to see through. 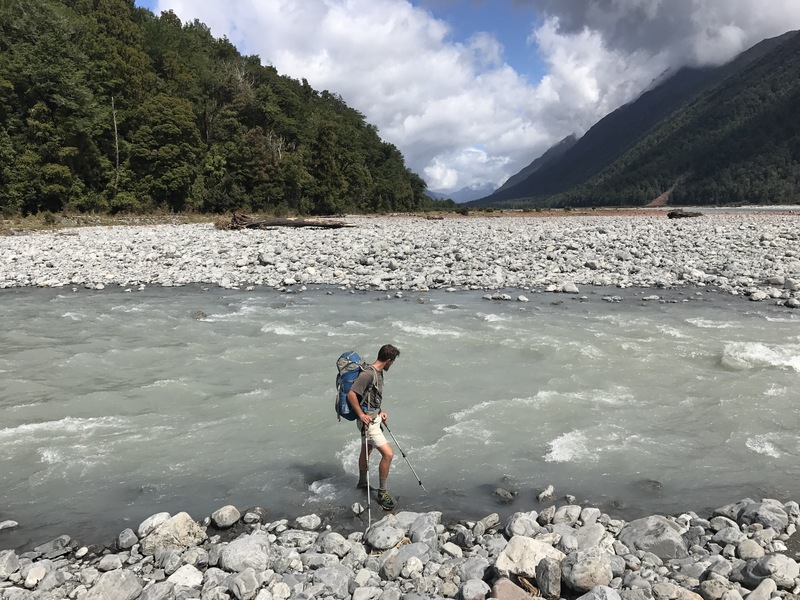 We ended up getting through without even needing to link up, as is the recommended procedure for deep and swift rivers, and probably didn’t even get wet above our thighs, thanks to some route-finding by Shep of the shallowest paths through the deepest channels. On the other side we hopped up onto a field and followed markers along a fenceline to the road and carpark a few km south of the footbridge. It was about four o’clock then and we immediately split up and started trying to hitch into Greymouth, with the backup plan that we’d camp up the road five or so km at the Morrison footbridge carpark if we couldn’t get a ride. Fortunately, both pairs got a ride after only fifteen minutes of trying; Jack and I got picked up by a girl named Rosie who was moving up to Palmerston North to finish her zoology degree at Massey and apparently knows Jess, who our alert readers will remember is a lab technician there! 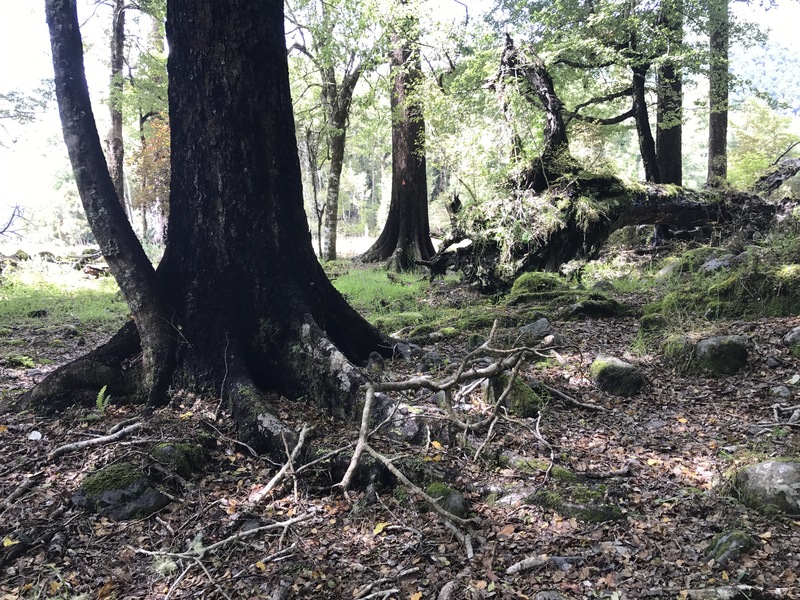 Once in Greymouth, after an hour or so of driving, gradually descending from the cloudy mountains to the flat and sunny west coast, we met up with Jasper and Shep at the McDonalds and worked on finding a place to stay. We ended up staying at the Duke Hostel downtown for four nights, primarily because Jasper’s foot has begun to seriously pain him (probably has extensor tendinitis) but all of our bodies could use the rest as well. 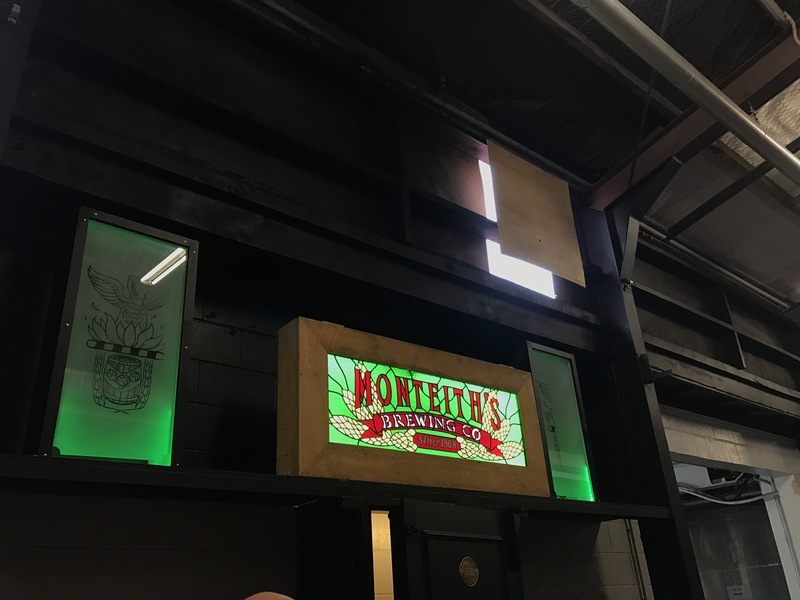 Not to mention that we couldn’t miss the super bowl on Monday morning, and a tour of Monteith’s Brewery. Unfortunately we never made it to the Pancake Rocks, about half an hour out of town. On Tuesday we hitched back into the mountains towards Arthur’s Pass, with new rain jacket (and because Jasper left a note in Locke Stream Hut upon realizing the loss, another hiker who found it was able to message him on facebook and has sent the original jacket to Tekapo for us) and refreshed muscles. We got into Arthur’s Pass pretty late, having had a rough time getting rides for some reason, and are camping for free at The Sanctuary, after picking up our bounce box at the DOC center (which we discovered does stock rain jackets after all!) 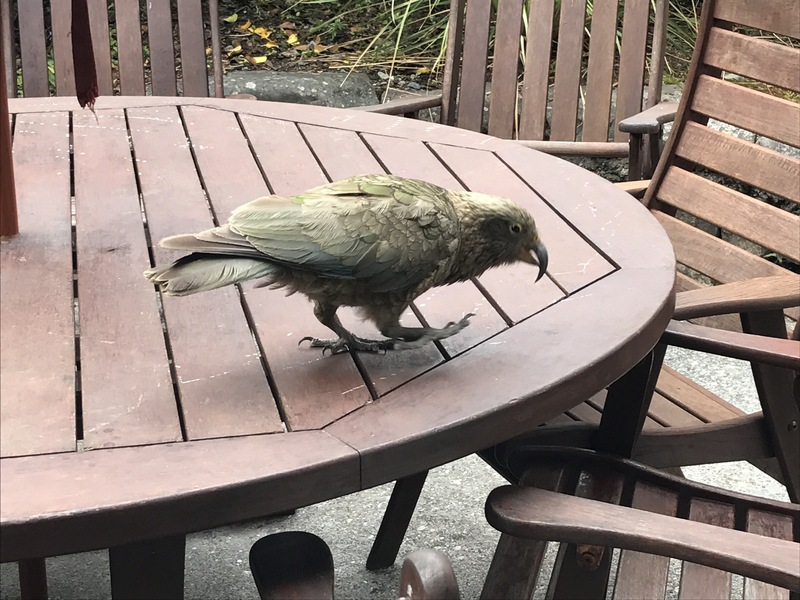 and enjoying a meal at the Wobbly Kea, and I believe we are considering this still Day 96. 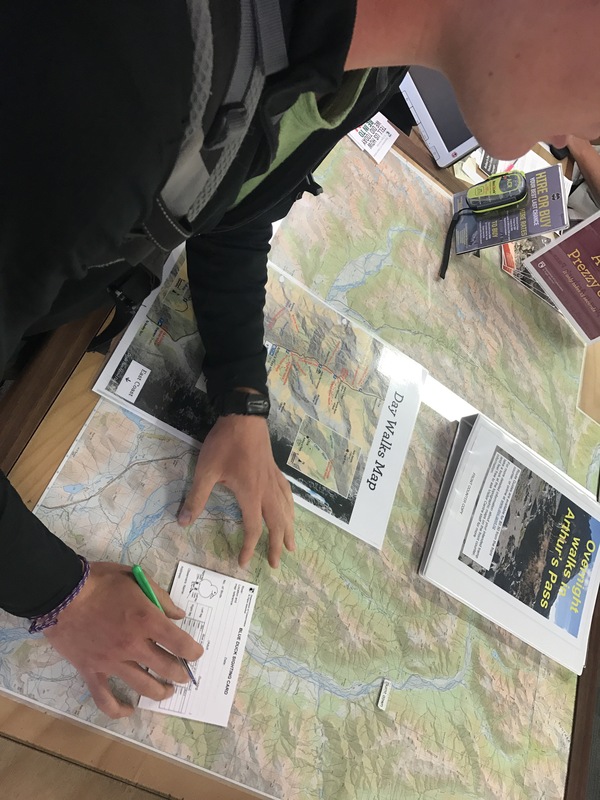 Though we are excited to head up into the mountains again (the Cass-Lagoon Saddles track looks awesome, as does everything surrounding this town in all 360 degrees), we are going to probably be keeping it a little more relaxed to avoid injury. Tonight feels like it’s ramping up to be super cold up on the Pass – it’s going to be an introduction to the daily temperature extremes we’re going to be getting in the next bit, as we walk further east into the Alps’s rain shadow and hence drier, more desert-like conditions and vegetation. Excited to get moving again through some awesome sections!